How to enhance nurse safety in diabetes care? How to enhance nurse safety in diabetes care? How to enhance nurse safety in diabetes care? PMR’s long-term customer, a globally recognised manufacturer and importer of medical devices, expressed interest in commissioning a survey of safety needles for insulin pens. The client wanted to gain insight into experiences and expectations of Spanish nurses working with patients with various types of diabetes and using insulin needles made by different manufacturers. Our client was particularly interested in occupational safety of diabetes nurses and the risk of needle-stick injury in health practitioners. With a view to obtaining a broad and all-encompassing description of the survey’s subject matter, PMR researchers conducted focused group interviews with a sample consisting of 12 nurses. The sample was divided into two groups that varied in terms of the level of brand awareness for safety needles and respondents’ previous experience with this type of needle-stick. The first group comprised nurses with extensive experience of using safety needles, who mainly used a competitor’s product. The other group consisted of nurses who had no previous experience of safety needles. Key areas of discussion included the nurses’ preferences and expectations about working with diabetes patients and strengths and weaknesses of using various types of needles. Obtaining medical professionals’ opinions on occupational health and safety and the risk of accidental needle-stick injury while caring for patients was a vital part of the survey. During the ensuing discussions, a detailed description of the model procedure followed by medical facilities and healthcare providers in the event of accidental needle-stick injury was outlined. 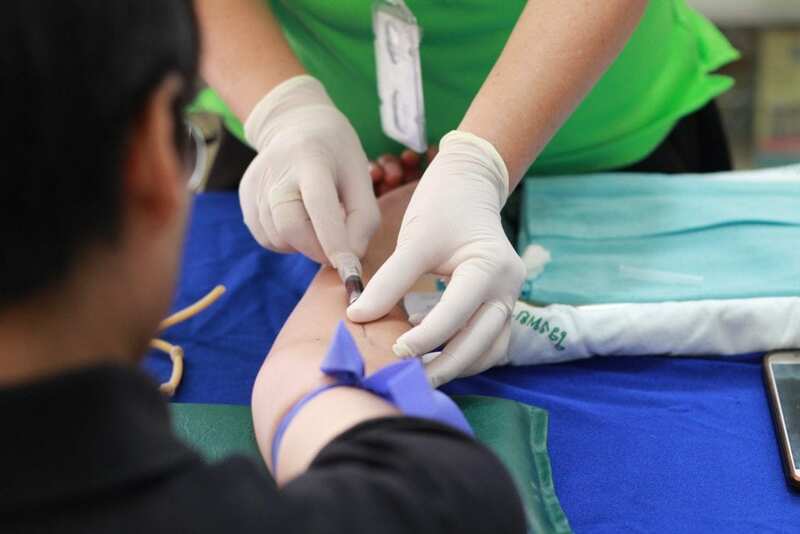 PMR experts obtained informed and useful opinions on safety procedures adhered to by the facilities, actual behaviour of health professionals and measures taken to minimise the risk of needle-stick injury at every stage of patient care. Moreover, the respondents were also asked to test the client’s safety needles and compare them to competitive products they used in everyday patient care. On the basis of qualitative interviews, PMR’s client obtained a summary of conclusions and recommendations for optimising the product in line with of expectations of nurses in Spain. The report includes information on the frequency of accidental needle-stick injuries and how medical facilities and health personnel comply with the applicable occupational health and safety requirements. Recommendations provided by PMR researchers included both product modifications and long-term activities which can improve the safety of nurses. Based on a comprehensive analysis of the qualitative material, PMR experts suggested a range of marketing initiatives that can help the client develop a competitive advantage in the Spanish medical devices market.